This is the last of the current crop of 3d-printed stuff, until I design and order some more. 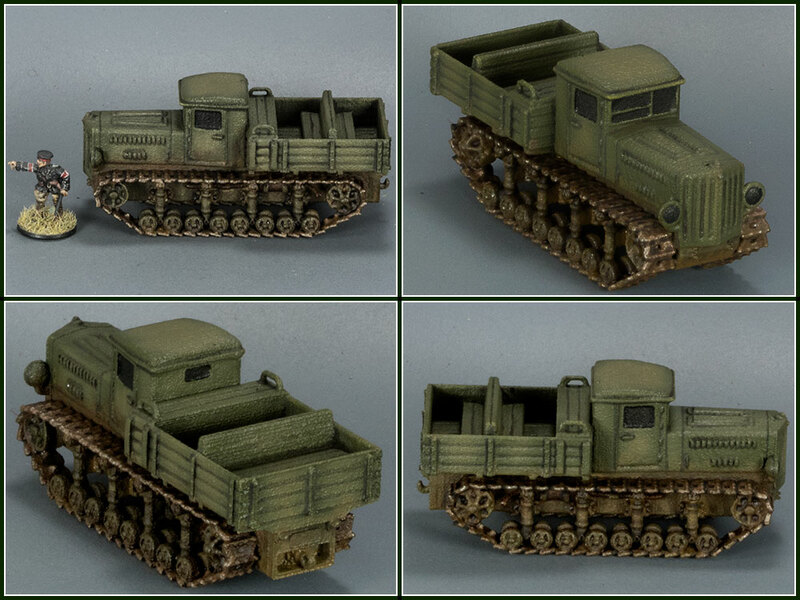 It's the interwar Soviet Komintern tractor, based on the chassis of the T-24 medium tank. The T-24 was an unsuccessful tank, but the Komintern was very successful in its role as a heavy artillery tractor.